I think it’s safe to say that it feels like spring has officially sprung here! Although yesterday was super windy and chilly… but we are going to power through. Last weekend, however, was gorgeous! All of the trees and flowers are starting to bloom, it was in the 70s, and I was sad to see it end. 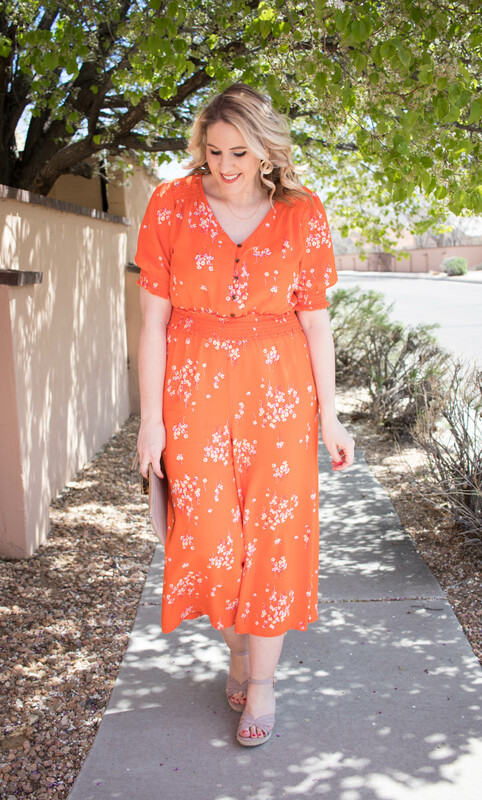 It did give me a chance to give this orange floral jumpsuit a try. 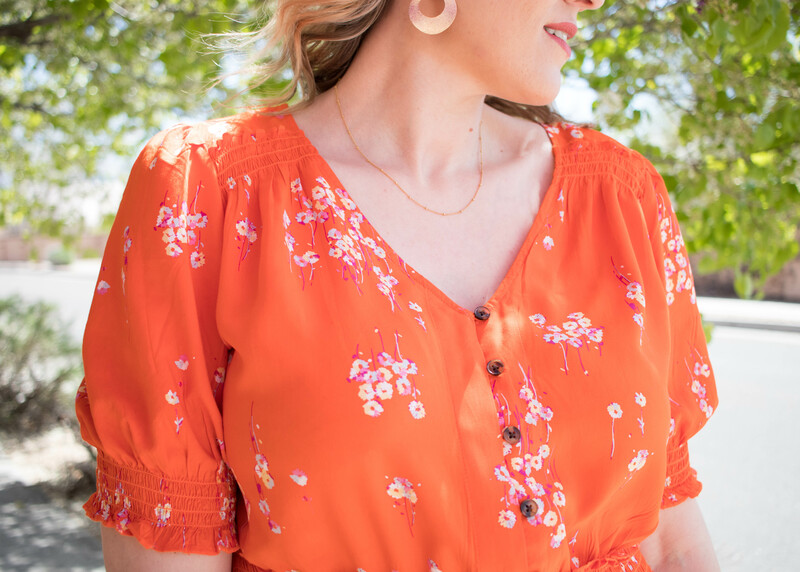 I had a fun project to work on with JCPenney, and wound up turning it into a full outfit post because I love the jumpsuit so much. I don’t think I’ve ever owned anything orange in my life. Ok, maybe when I was a child in the 80s, but definitely nothing in my adult life. I was worried it would be too bold, but I really wound up falling in love. I went up a size to fit my growing belly, and while it’s a little big right now, it’ll be perfect to grow into. Pretty sure I’ll be wearing this all spring and summer long thanks to the ruched elastic waistband! 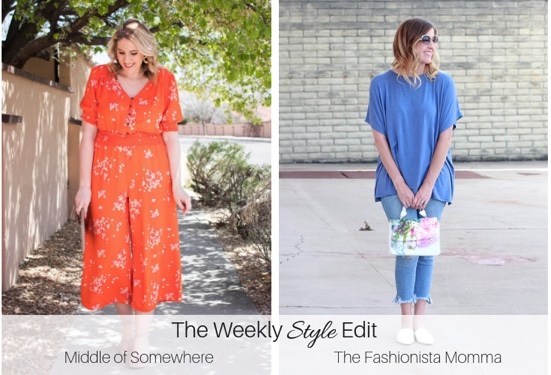 Enough gushing about this jumpsuit, now it’s time for The Weekly Style Edit.Come join Megan from The Fashionista Momma and I below and share your favorite outfit from the week!